What Works as a Substitute for Butter? If you’ve ever baked before, you know you can’t just substitute ingredients without considering the dry to wet ratio, or how the sub might affect the finished product. That’s why we turned to our resident culinary experts to get tips on what swaps you can make to make your baked treats more healthy. Pro tip: Don’t try all the swaps below at once. Try them one at a time to see how you like the recipe with the changed ingredient before swapping out another. You’re more likely to have more successful results that way. Substitute 1 cup all-purpose flour for 1 cup beans (drained, rinsed, and pureed). 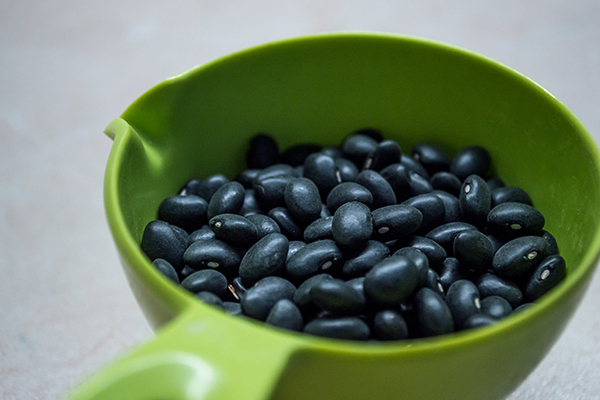 Beans add fiber, protein (approx. 12 to 19 g and 14 to 16 g per cup, respectively) and make baked goods moist without changing their flavor. They work best in cookies, cupcakes, and brownies. Substitute 1 cup all-purpose flour for 1 cup of your favorite nut flour plus in ½ tsp. baking powder or baking soda. Nut flour adds protein and omega-3s to your baked goods, but they will make the final product a little bit denser. It works best in cakes, cookies, and sweet breads. Substitute 1 cup all-purpose flour for 1 cup whole wheat flour. Whole-wheat flour has five times the fiber of refined flour. This swap works for almost any baking recipe. Pro Tip: The measurements above will work in a pinch, but when swapping flours, having a scale on hand will really help. It’s best to substitute flours based on weight rather than volume; 1 cup of all-purpose flour weighs 125 g, so you’ll want to swap it with 125 g of your alternative. Swap 1 cup (2 sticks) of butter for 1 cup pureed avocado, then reduce the oven temperature by 25° F and increase the baking time. Avocado will give a slightly greenish tint to the final product, so it’s best for dark batters or for holidays that call for green foods, making it perfect for St. Patrick’s Day or Halloween! Best in brownies, cookies, or chocolate cake. Swap 1 cup (2 sticks) of butter, 1 cup oil, or 1 cup shortening for 1 cup mashed banana and reduce your cooking time by 25 percent. Note: Because bananas also add sweetness, you may be able to cut back on your sweetener. It works best with cookies, muffins, dense cakes, and breads. Swap 1 cup (2 sticks) of butter, 1 cup oil, or 1 cup shortening for ½ cup unsweetened applesauce + ½ cup fat (ex. avocado). This exchange works best with muffins and sweet breads. Swap 1 cup (2 sticks) of butter or 1 cup oil for 1 cup nonfat Greek yogurt. Greek yogurt adds protein (approximately 17 g per cup) and calcium. This substitute works best for cakes, muffins, and cookies. Chia seeds are packed with fiber and other nutrients. For this swap, combine 3 Tbsp. chia seeds with 1 cup of water and let the mixture sit for 15 minutes. It’s equivalent to 1 cup butter, but for the best results, only substitute half of the butter for the chia seeds. Best for cakes, breads, and muffins. Puree ¾ cup of prunes with ¼ cup of hot water to create a prune “butter” that you can use as a butter substitute. You may find you want to decrease the amount of sugar in the recipe as prunes add their own. 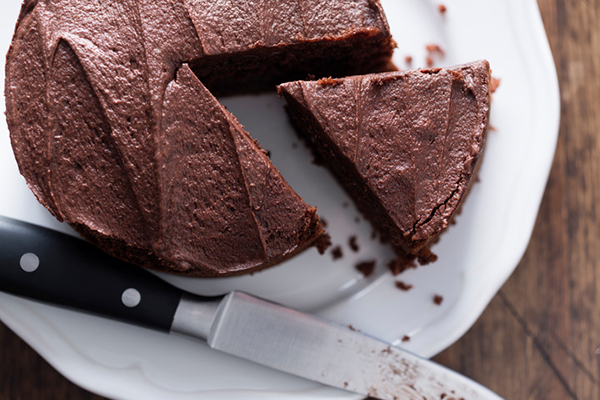 Best in brownies, chocolate or spiced cakes, and dark baked goods. Swap 1 cup sugar for 1 cup applesauce and reduce the liquid in the recipe by ¼ cup. The final product will be less sweet and slightly denser than the original, but by doing so, you’ll be cutting back on refined sugars and cutting the total calorie count down by approximately 600 calories. It works best in cakes, cookies, and muffins. 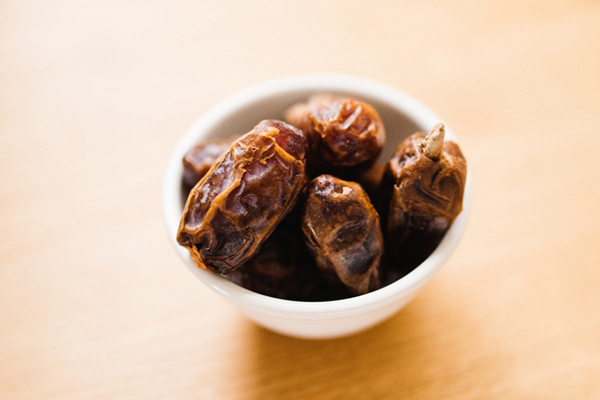 Swap 1 cup sugar for 6 dates or prunes. Before using, soak the fruits in hot water for 45 minutes, then drain and puree them. Reduce the liquid by ¼ cup. Best in cookies or sweet breads. Though honey is straight sugar, by using it in place of sugar, you can use less and cut back the total calories in the recipe a little. Use ½ cup raw honey in place of 1 cup sugar and reduce the total liquid in the recipe by ¼ cup. Best in cookies, cakes, and sweet breads. Though it’s just as sweet as sugar, maple syrup contains zinc, manganese, iron, calcium, and potassium; granulated sugar does not. Make sure to use 100 percent maple syrup, not maple syrup-flavored product. Swap 1 cup of sugar for ¾ cup of maple syrup, then reduce the liquid in your recipe by 3 Tbsp and lower the oven temperature by 25° F.
Replace 1 egg with 2 egg whites. Whole eggs are great for you, but if you’re looking to cut calories in a recipe, this is an easy swap. Combine 1 Tbsp. chia seeds and 1 cup of water and set them aside for 15 minutes. This mixture can replace 1 egg. If using chia seeds as a butter replacement, we do not recommend using them to also replace the eggs. Combine 1 Tbsp. ground flax seeds with 3 Tbsp. water and set aside for 5 minutes. This can replace 1 egg and works best in muffins, cookies, and cakes. ¼ cup pureed silken tofu can replace 1 egg. Make sure doesn’t have any chunks before adding other ingredients. 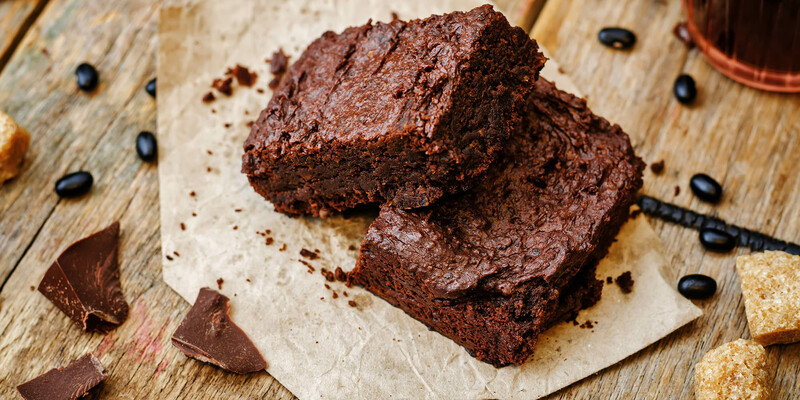 Best in brownies and dense cakes.